Precision Pointing and Restoration, Inc.
Clint H. Boyle Masonary, Inc. Comment: Two brick walls on either side of 5 steps leading up to front door. Both walls need completely rebuilt with new bricks. The old bricks are in very bad condition. Also, interested in possible replacement of chimney. Comment: Hi, I am looking to either repair a current retaining wall of natural stone or new materials. Wall was built incorrectly without adding drainage so stones are up against dirt. 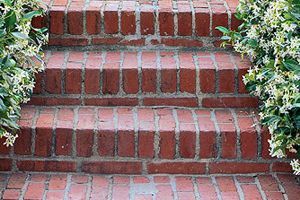 Comment: I would like to get an estimate for having some brick masonry work repaired. There is some brick that will need pulled off before a beam gets replaced. The brick company will have to work with the beam company to get this project done together. It is the brick wall that forms the bedroom. Comment: Need a strong retaining wall. does not have to be decorative but functional. Comment: Itâs to hard to describe. Need someone to come look at it. It has to do with brick around garage door and metal beam. Pittsburgh Brick & Stone Masonry Contractors are rated 4.67 out of 5 based on 735 reviews of 54 pros. Not Looking for Brick & Stone Contractors in Pittsburgh, PA?